DuraBanners does not hold or stock 'standard' banners or shelf products. 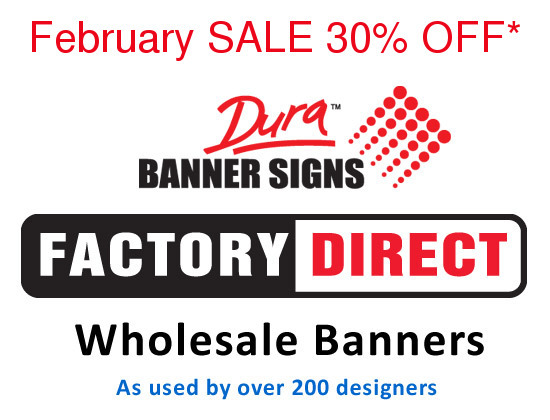 Purchasing Custom Products from DuraBanners requires customers understanding of the following. This ensures fair dealing and understanding so that the customer receives discount prices and certain free items applied. NOTE: NO REFUNDS, EXCHANGES OR RETURNS ARE ACCEPTED ON ANY CUSTOM ORDER. NOTE: ALL ORDERS ARE DETERMINED AS 'CUSTOM'. Custom orders are non refundable, non returnable nor exchangeable. 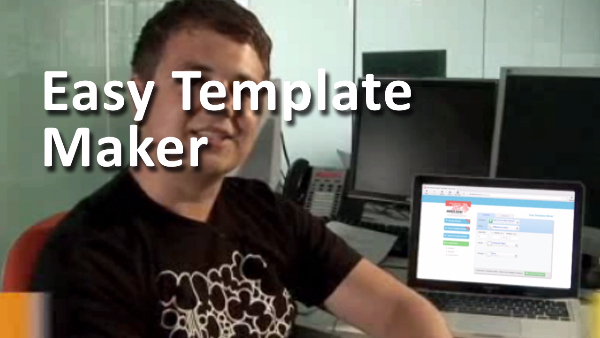 Instantly as an order is processed, it is scheduled for production and printing steps begin. DIGITAL SIGNATURE APPROVE ONLINE Before any order is accepted, DuraBanners requires customers to acknowledge readership of this page and acknowledge the Terms & Conditions herein. This digital signature is also associated with all order progress tracking you can use to follow the various steps / stages of producing your banner sign.PAYMENTS VIA PAYPAL ONLY We only use the PAYPAL gateway for payments, this includes on-line and off-line orders. Applies Worldwide. Also see How PayPal calculates your local Currency. FREE EYELETS/Grommets RINGS EVERY 500MM Promotional Item IF applicable. Occasionally, Free Eyelets/Grommets are offered to customers. Determined every 500mm, 800mm, 1000mm, 1200mm or other may be advertised and promoted. Eyelets/Grommets are not standard. 1. Free delivery is based on a maximum value per item as calculated CBM or Weight/kg which ever is the greater as determined by carrier and is shown to be valid or invalid at time of quoting price via the price calculator. Free shipping may be a promotional item not available on all products or promotions or areas of service. 5. Free delivery is based on single delivery FIRST TIME. Redelivery is a FEE charged to a customer. Nb. The customer pays for any additional fees or charges or redelivery if: Not at address at time of delivery, if: additional charges are charged to DuraBanners at any stage(s), if: taxes and local charges are applied by local authorities. 6. Redelivery is payment responsibility of customer. FREE SHIPPING APPLIES Free Shipping Applies (FSA) may be promoted as a special offer from time to time and this may expire if an advertising campaign expires, an alteration in shipping company policy and/or charges or changes or other circumstance wherein the free shipping campaign is extinguished. We will honour any paid processed order with FSA (free shipping applies) only. If FSA is no longer available for a time period or end of campaign DuraBanners is not under obligation to reinstate FSA. FSA Free Shipping Applies to combined line items shown at bottom of Calculator at the time of the promotion validity. FREE SHIPPING VALUE Free Shipping may limit to a monetary value as set within the advertised advertising campaign. This will be set inside the price calculator and may change from period to period, locality to locality. Check latest promotions available at the Price Calculator page. SOME SHIPPING PAYMENT REQUIRED If an order exceeds the promoted Free Shipping value, a client may be required to pay a balance or full value. This 'Some Shipping Required' value is aside the free component. This means, the 'free' value has been deducted leaving a balance of 'some shipping'. If your orders are under $USDminium value, some partial shipping may be required. This is shown at Calculator. If your orders are over $USDhigh value, some partial shipping may be required. Your order indicates heavier than standard packaging or shipping excess allowance(s) and may require more or larger cartons, pallets, crates or loaders or or higher payment to shipping company or other costs to effectively ship to you. This is shown as a value figure at Calculator. Any FSA is deducted showing you any balance due. SHIPPING INSURANCE NONE AVAILABLE DuraBanners does not offer insured shipping. NOTE: DuraBanners is automated. Refer to you PROGRESS stages for all tracking by you as the customer. 5. Our partnering shipping companies generally ETA is 3-7 days depending on your location and suitability to a destination hub. Please refer to their website for more general and localized information. NOTE: DuraBanners are not carriers. All delivery is contract delivery via Consignment which you have undertaken when your order and by their relevant guidelines and policies. Carriers may change from advertised to suit: a) price, b) location, c) level of service. Please track your parcels and ready any relevant carrier information via website provided. SHIPPING DELIVERY Products are shipped door to door globally using couriers and shipping / transporting companies and agents. In general, we include packaging and handling costs within a charged shipping price but this may vary due to reasons beyond our control such as distances, cost increases, fuel levies, package sizes, m3 or dimensional weight calculations, split palleting etc. Any additional shipping / transporting costs incurred at the time of delivery or later by us at any time are payable by the client. In cases, wherein we are later charged more than transport company quoted transport prices or excess fees etc, levies, redirection costs, m3 or dimensional weight calculations or any other, these costs are passed onto and are immediately due and payable by the client. DuraBanners use international freight forwarders, express couriers, ground couriers and other standard methods of shipping your product to you door to door (excluding private address) internationally. SHIPPING ALTERATIONS If you require to alter your shipping address AFTER the order has been processed, you must contact us. An additional Redirection Fee by DuraBanners will be applied & charged to you to commence alteration. This DuraBanners Redirection Fee must be paid BEFORE any action by DuraBanners will commence. Also, An additional shipping company Fee will be charged to you for 2nd service delivery. Also, you may be charged additional Re direction fees, re-service fees or any other administration cost as instructed by the shipping company in order to change your consignment label address to a new destination. Also, you may be charge a 'RE DELIVERY' fee by the shipping company should a parcel has previously been attempted to be delivered by them to you. Please ensure your delivery address is correct during the ordering stages of DuraBanners. SHIPPING ESTIMATOR On the calculator and 'cart pages before completing checkout the website may show if applicable an ESTIMATED value required for shipping. The 'estimated' value is not set and may be adjusted at any time before, during or after the order is completed. If at any time, additional costs are incurred by us for shipping, insurance, administration or any other, such costs and a administration fee are payable by the customer. The Shipping Estimator attempts to value shipping to your region and may require formal quoting for your zip/postcode, property or building etc. The Shipping estimator is via standard courier to nearest point of delivery for your location and does not include any additional instructions, fees or logistic requirements that may suit your final delivery destination(s). All shipping estimates are for one (1) standard location. Parcels may be bulk packed or individual at DuraBanners discretion and charged by either weight or cubic measurement whichever is the greater. At any stage if we are charged or incur extra costs above allowed for shipping these costs plus any administration fees are payable by the customer. The value set by any shipping estimate is not accepted as final. If you have multiple points of delivery (eg. Split orders) please proceed through the cart pages as 'No pay online' and our team members will formally quote multiple shipping destinations. Flat fee and weight based formulas are used for shipping and these may change from time to time. If at any time you require a formal transport company quotation including handling charges etc; please contact our team using our contact page. Delivery Region You can order anywhere and ship your order anywhere globally. Your 'home' region is the currency selected, shipping outside your region may influence shipping availability, shipping time and FSA if applies and if INTERNATIONAL SHIPPING EXCESS is applied. International Shipping Excess may add cost to your order wherein additional payment may be required to ship from this site to a foreign address. You can use the Contact Us page for sites nearer your destination/currency. PLEASE READ CAREFULLY Limited Warranties of individual CUSTOM products offered for sale and may vary depending on the nature of the product, typical usage and capabilities. Custom and speciality products are not returnable. IF you return any product, We do not accept pay on arrival costs nor accept products to the warehouse unannounced. Returns must be shipped back to our warehouse at clients expense and clearly labelled with prior telephone arrangement and scheduling. If a warranty or return is due to a shipping reason, an insurance claim must be raised by the customer with the shipper. DuraBanners is not a shipping company. We are Wholesale Printing & Sewing. These T&C's clearly explain that onus is upon customer for all shipping details, tracking and delivery by any third party. We do not hold responsibility for delivery in any circumstance. 1. All products we make are custom, and as such may not be reused, resold, returned or refunded by DuraBanners unless: Wherein written National Consumer Protection Authorities require return of product for further dispute resolution. We do not accept any 'receiver pays' or 'pay on delivery' or 'return to sender' or 'return paid' or similar return cost(s) delivery methods should a product be returned. Return shipping payment is the customer onus. We do not offer any return shipping. We do not provide return transport or shipping or courier or other method of returning a product. You may not return product via our #account - it will be rejected and stock destroyed and you will be liable to shipping company for costs. We do not organize returns. You must organize your own return of product. We do not provide packaging material for return of product. With our large international shipping movements everyday DuraBanners company accounts are negotiated with 3rd party shipping suppliers as 'never return' which lowers your initial costs to deliver your orders to you door to door. There is no return service offered by DuraBanners for any circumstance. We are not a shipping company. WEAR AND TEAR, WEATHER AND OTHER DAMAGING FACTORS We cannot warranty or guarantee rips tears or eyelets pulls, hem, or any conditions that banners are located, any weather condition or outside element that may affect the banners, pillowing or stressing. Each product is manufactured for general conditions and you may choose to install at your discretion. Banners and signs are subject to foreign conditions that may tear the material, pull out eyelets or disintegrate the product. A banner is not a permanent product and not a structure. Products offered are considered temporary and as such should be fitted or dismantled to suit reasonable conditions. Do not allow any product to billow, stretch or suffer any stress. If eyelet(s) are pulled out from the product you should dismantle the product and repair. LIFE OF PRODUCT Products are manufactured for mid to long term for the material. In general, products are used as short term promotional advertising mediums however we endeavour to make your products suited to a generalized 6-12 months with a maximum life of 18 months in excellent conditions. National consumer laws intend flags and banners reach a maximum life of 6 months, however, conditions such as weather, useage affect this rating. Your LIFE OF PRODUCT is not warranted under any circumstance. DuraBanners DOES NOT DEMAND INSURED SHIPPING. DuraBanners do not demand or solicit further payments for insurance. WHO TO CONTACT We have a full team of in-house qualified graphic artists, sign makers, designers etc..,... And... as such, do not have a sales team. Rather, you can contact any one of our art department or sign making department for direct advice, prices, procedures and requirements to order your products. At anytime, we encourage to talk directly with our creative team, those who make your signage or are responsible for packing and delivery. Our transparent nature and dedicated quality approach ensures your signage is made perfectly and we give every product a 100% quality check before various stages of completion. COMPANY INFORMATION: DURABANNERS and DuraBanners.com and .com.au is a trading name, trademark and registered brand list of Afilm Pty Ltd which is an Australian company manufacturing signage GLOBALLY in different countries and regions and advertising products direct for end users, advertising agencies, event managers, small and large business etc. Head offices are located in Australia and finished goods are globally shipped twice daily door to door from the nearest manufacturing destination near you or product specific manufacturing location best suited to your orders and volume. ADVERTISED PRICES Prices and specifications may change from time to time, depend on stock availability, advertised promotions, seasonal factors and promotion department management. In general, we hold 'formal quoted' prices for 30 days and website promoted prices for that day or stock level promoted. To maintain a price, please ask anyone of our team to generate a formal quotation and send to you ensuring we maintain the quote. DISCOUNTS AND QUANTITY PRICING are determined as short term offers and may increase or decrease from time to time, expire or be removed. To maintain a fixed price please ask for a formal quote to be raised and sent to you showing a price or promotion is held for you. Advertised prices are informal and subject to change. To confirm pricing, all jobs require a ‘formal quote’ prior to production/packing. To obtain a formal quote, you may order online or contact staff. Once job specifications have been outlined & delivery details understood, a formal quote is generated & valid for 30 days. The formal quote pricing may differ from the advertised price. Our team members are more than happy to go through your quote & explain your individual job requirements accordingly. Quantity discounts may apply to some products and not others. A 'class ruling' tax and any other applicable tax in your region/country/state may apply. Any other tax for your country/region also applies when ordering any taxable product or service. When an order has been placed, an Invoice in your SELECTED CURRENCY will be supplied for payment or accompany your goods when ordered and paid on-line. IMPORTANT DuraBanners offers custom goods Wholesale and available for RESALE BY YOU. This means you are responsible for any/all taxation requirements for your local state/territory. We have applied the base taxation for OUR efforts only. Further taxation/ruling/applicable situations for your business are not the responsibility of DuraBanners or any of our incorporated affiliates. All Orders/Supplies/Product are offered Wholesale as available for RESALE by you. PAYMENT OPTIONS Orders are paid for before being despatched. Secure on-line ordering allows you to pay using PayPal. COUNTERFEIT or MISLEADING Copy or Similar DuraBanners will not manufacture illegal works for any destination at DuraBanners sole discretion. MANUFACTURING From our central manufacturing and warehouse locations wholesale printed and sewn supplies for resale are shipped to clients internationally on a daily basis. Capabilities include custom banner signage, display expo stand printing, mesh, wide format digital polyfabric printing, sewing and an in-house art department and contract design department capable of creating artwork in both digital and traditional forms. Signage is produced using a myriad of techniques, processes and finishes. Any additional costs required during the manufacturing process may be charged to the client. Products/Goods/Supplies may be manufactured in non central locations as determined by DuraBanners at its sole discretion. Turnaround times and manufacturing time-lines are given as a GUIDE ONLY. Please note that manufacturing times vary depending on product. Please enquire with your DuraBanners team member to find out about turnaround time specific to your order. Turnaround times are determined from when we receive approval for pricing and artwork and process the estimate into an order. E.g. Turnaround time of 4 days FROM when we receive pricing and artwork approval, NOT from point of initial pricing/quoting. Speciality orders may require more time. Allow 10 days for expertise craftsmanship. We understand deadlines and lead the way for fast production. If you require more urgent time lines, please ask your DuraBanners team member to assist pre order. Fees or costs may be incurred. Our recommended production time is four days from approval of artwork. This is how long before your project may be dry or complete from our central manufacturing location. Some custom made projects may have a longer production time and this extended time requirement may be advised by a DuraBanners team member. We use the most reliable Courier services to deliver your project. Whilst we cannot guarantee exact delivery times, we follow and suggest the recommended time of delivery arrangements as provided to us by the chosen courier or transporting company. Unless prepaid urgent/guaranteed deliveries are arranged, normal shipping applies. ARTWORK is generally completed within 1-4 days from receiving instructions/files to compose for you and all print orders include an on-line digital artwork proof before production begins ensuring accuracy, output and speed of manufacture for your orders. Artwork may run overtime and shall be charged at nominal rates. Artwork may be supplied in full, ready to print following our guidelines and specifications. Alterations, adjustments or suitability for production to our standards and specifications may incur additional cost. Our designers can also do the layout/design for you, but this may incur an Artwork charge. Artwork charges may vary depending on complexity of the job, and you may be made aware of the cost before proceeding or depending on scheduling, communication etc., artwork changes may be made on your behalf and charged at nominal rates. Please Speak with your DuraBanners team member to find out more before creating incorrect art that is difficult to produce with machinery, printing etc. Typically, prices include an artwork proof requiring signature before any production begins. Proofs must be approved prior to any production and accepted by our production team. In-house designers can supply complete designs within 1-4 days. Graphic design quotes can vary & calculated based on individual requirements & design briefs. Changes & modifications may be made, however additional charges may apply. ‘Print ready’ artwork will also require an artwork proof & client signature approval. Please ensure all aspects of the artwork proof is checked & double checked. Once the proof is signed, all aspects of artwork will be printed. DuraBanners accepts no responsibility for incorrect artwork, oversights or any other. It is the client responsibility to check all aspects of the proof before signing acceptance. Your Statement of Wholesale Supply may or may not be used by you to claim back RESELLER Taxation/Duties that may apply in your state/territory relevant to your conduct of normal business practice and Taxation Classes/Rulings in your state/territory. DuraBanners offer NO taxation advice.